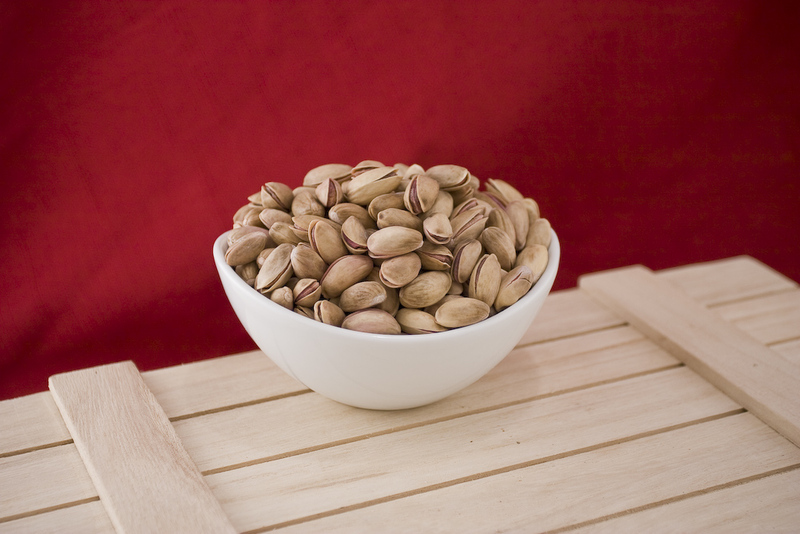 Turkish pistachios are smaller and less open than the California variety; they have darker shells but feature a richer and more distinctive taste. Many pistachio connoisseurs would tell you the Turkish variety taste better than any other variety. Turkish Antep Pistachios (Imported Pistachios) - Net Wt. 5lbs. Early in December my husband brought home Turkish pistachios which he purchased in Manhattan. Hard to find and a big treat. Yes I tasted the difference compared to regular pistachios, however nothing to write home about. Well he finished the pound he purchased and wanted more so for Christmas I looked up superior nuts online and ordered a 5 lb bag. Now THESE are outrageously delicious. Wonderful taste and addictive. Am planning to place another order soon - probably Valentineâ€™s Day. The nuts were a gift for my son. He loves them. The nuts are 5 stars but we gave 4 stars because they are expensive! ConsThe cost is too high, plus shipping charges! If you have never had Turkish pistachios, you should try them. California pistachios are flavorless in comparison, I don't bother with California pistachios, ever. 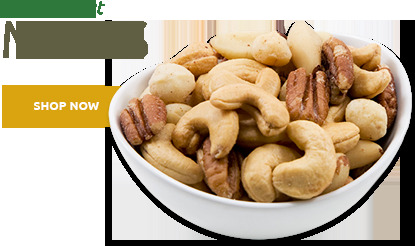 Superior Nut has high quality nuts and excellent ordering efficiency. ConsExpense. But pistachios should be a treat! Pistachios are great! Arrived on time! Everyone that stops at the table can not resist having a few and comment on how good they taste! Will do it again next month! These nuts have a very unique flavor that will certainly please any pistachio lover. I've bought these from other companies. These are the best. Good quality of product. Timely delivery. I would order every couple months if they weren't so expensive. As a result, I only order 2 or 3 times a year. We go thru a 5lb bag in 2 weeks. Even when on sale, the shipping cost brings it back up. I am glad I found the Turkish (Antep) Pistachio nuts! I have been a long time customer at The Superior Nut Company. I think your company is great. I am retired Air Force and when I was based in Spain, we used to get pistachio nuts directly out of Turkey when we sent aircraft there. They were the best pistachio nuts I had ever tasted!!! After returning to the States, I often wondered how I would get them again. I heard about your company and to my surprise, you had them. I love your Turkish Antep pistachio nuts. Please keep up the good work and customer service. If you love Turkish pistachios,you will love these! Superior nut company has the best Turkish pistachios anywhere!! Give them a try. My husband loves Turkish Pistachios---these are just perfect with the exception of a little more salt. Thank you for making these available! I order these pistichios fairly regularly. They are pricey but compared to pistachio nuts grown in the United States, the flavor of Turkish imported is unique and they are the only ones I will order. ProsFlavor is the best. Availability is good. Iranian pistachios are the best in the world, but these are the next best thing and legal! ConsThey are a little bit smaller than domestically grown pistachios. The price has gotten much more over the past few years. I wish I could earn credits for every order to save on future purchases. Good fresh product. Delivered as promised. ConsPrice w/shipping a little high. It forces me to buy california pistachios at local discount club store. Turkish varities are a very rare treat for me. JUST LOVE THEM. CAN YOU LOWER THE PRICE BOSS. My daughter and I polished off the 5 lb. bag in a little over 1 week, going for a multiple order soon. I've loved these imported pistachios over 25 years when I first discovered them. Although I was used to the red dyed variety, Turkish pistichios are a bit smaller and natural without coloring added. The taste is distinct unlike the California variety. Although Iranian pistachios are known world wide as the absolute best, Turkish are the next best thing you can buy as Iranian pistachios are not legal to import to this country. The price has jumped since my last order. I will still buy them and savor every bite. If you never tried them, you owe it to your taste buds. ProsThe flavor is unique. Turkish are the only pistachios I will buy. I'm hooked. ConsThe price went up quite a bit since my last order. It's most likely a supply and demand issue. Hopefully in the future there will be a less costly source. These nuts were decent, certainly better than those grown in California. However, I prefer saltier greener nuts. I am not sure if these were overcooked or maybe not as fresh as i would like. I do not plan to purchase from here again. These nuts are an expensive treat and these were a bit disappointing, not awful, just not excellent. ProsGreat service, quick delivery, good price. Best price on the net for Turkish Pistachios....and quick delivery. 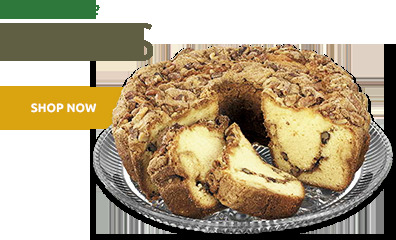 Originally I ordered 1 lb packages of this and loved the pistachios. So, I ordered 2 more 1-lb packages and a 5 lb package (to share with family on a trip)...the 5 lb has quite a few bad pistachios, I would say that 25 % are not opened at all or contain nuts that are bad, I mean bad to the point that they are not edible. Many times you can't get the nut out of the shell even if it is cracked a bit. So, IF I buy again, I will only buy small packages. ProsNormally these are excellent, flavorful and delicious, I might recomment but with the bad things to consider because it is an expensive purchase and a shame when 25% are inedible for one reason or another. ConsToo many bad nuts and too many that can't open or that only open partially and you can't get the nut out. Exactly what I was looking for. very pleased with the quality and the quick shipment. Top quality pistachios. I enjoy Turkish pistachios and have purchased from most, if not all, on line sites. The quality of the nuts are excellent. I am very happy with the customer service and prompt delivery. This seller cares about customers. I highly recommend this company. I have been nuts for pistachios since I was a child (in the 1950's). I remember when the only ones available widely were dyed red, so my fingers were regularly stained red. I seem to remember the name on the bags back then was "Zaloom". Then, for a period of time in the 1980's or '90's (I think) It became harder to find pistachios in general markets -- there may have been an import ban on some countries that grow the nuts. In the 2000's, although California pistachios were readily available locally, I realized I needed to find a supplier online for middle eastern nuts. (I live in the country and there are no specialty grocery stores. So I began buying my nuts online from a variety of sources. Now I have discovered your Superior Nut company and I am thrilled with the quality and taste of the pistachios -- they are roasted and salted just perfectly and are very fresh. The order arrived very promptly and I will be placing another order soon. I am trying to "pace" myself, because I could probably eat a pound of nuts a day. Needless to say, my family can not expect me to share. I have read that there are several different types of pistachios grown in Turkey/Iran. I know you carry the Antep and I would be interested in a "sampler" that contains some of the other types so we could compare the flavor. P.S. I own 3 rescued parrots, macaws and a cockatoo and they want me to share my nuts with them -- HA! Fat chance. I have always loved Turkish pistachios. They are smaller and a little more work to eat but they are worth it. For awhile I could not find them in the stores. I tried the large California Pistachios. There OK but I really missed the flavor of the Turkish. So I stopped eating them for awhile. Then I found them on line at Superior Nut Company and I enjoy a handful every day. Great product. Tastiest pistachios around. Even have a great fantastic aroma. These nuts truly are a treat. None better. Superior's price is excellent and the shipping very reasonable. It is my first order with Superior and I will be back. These are true Turkish pistachios and have the great, unique flavor that distinguishes them from the more bland California pistachios. Excellent! I love the flavor of these pistachios. Much better than the California variety. I will continue to order from Superior Nut Company. not bad, little over roasted/undersalted. Good quality. Will purchase again. Little over-roasted/under salted. Very good quality. Will purchase again. Although I usually purchase my pistachios from Nuts on the Net, I've been disappointed with their quality of late. I called to complain and they said I could send them back. I told them that they need a quality assurance program so the nuts will be good. So, you are about $5 more but there are far fewer non edible nuts in your bag. The turkish pistachios are the best around. and the price is great. Consthe only thing that i didn't like was that for regular shipping it would take four days to get here. That wouldn't be a problem normally but I live in Rhode Island and they are being shipped out of Boston I am 50 miles away it should only take 2 days 3 at the most if sent reg 1st class mail. I've paid $20 more for the same item at another popular site for this particular nut and was far more satisfied with this purchase. Fresh, delicious and, to my mind, much more earthier and funky than the California version. I've purchased from two other on-line sources and found that Superior Nut Company has the freshest pistachios. Excellent nuts at a reasonable price. Delivery of my order was prompt and arrived intact and secure. You can't ask for more! The Turkish Antep variety is superior compared to other pistachios. Still, the California nuts are great tasting too. Glad for the oportunity to try something new. I found that at NUTS IN BULK. I will visit them again with more purchases. ProsPistachios happen to be a favorite of mine! I love these Pistachios. They are habit forming. They are really expensive and the shipping costs seem higher than they should be. I usually buy a 5lb bag. I would suggest USPS priority mail would be cheaper. This is my favorite snack food, and has been for over 40years. Now I have my favorite place too get them! The product was fresh, good and arrived home on time. ProsFreshness is very important for this product. I think the pistachios were well packed and reasonably priced. ConsThere is no downside other than the cost of shipping. Arrived in a timely manner exactly as described. ProsVery tasty, high quality at a 'good' price (compared to other distributors). ConsAs most have stated, they are expensive. I love these Turkish nuts. Other companies I have ordered from put too much salt on them. Nuts in Bulk has 'real' lightly salted nuts. There are fresh and taste good. I highly recommend them to others. Once you have these you will never go back to the 'so called' Califorina pistachios"! Turkish pistachios are known for being the best, far superior to any other. Love the fact that they are readily available here in the US. Service at the Superior Nut Co is great and orders arrive quickly and exactly as described. Am a longtime customer and will continue to be. Thank you. ProsExcellent quality as far as taste and freshness. ConsNothing except many other companies will waive shipping charges if you purchase over a certain dollar amount such as $50 or more. The absolute best pistachios in the U.S. The only better pistachios I have ever had are the ones you get in Lebanon from Persian or Aleppo Pistachios and roasted the Lebanese way. Persian pistcahios that are not seasoned perfectly are certainly no better than the turkish ones. These anteps from this place are fresh, roasted perfectly for a perfect crunch, salted perfectly and seasoned perfectly. They are consistently good every time I order them. I tried to ordered them cheaper from a Lebanese place in the U.S., the quality was fresh and excellent but they were almost unsalted which made the pistachios lose all their value. This is the place to get the most decent Turkish Pistachios in the U.S.
Consi was going to whine about the price and the newly jacked up shipping price. BUT, having seen so many oither whiners made me come to my senses. This is a GOOD place, Turkish pistachios are no longer $3.99 a lb as they used to be 20 years ago for some reason... 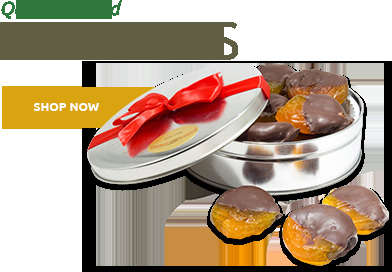 It is good to support them so that we know that with few clicks of the mouth, we get 5 lbs of great Turkish pistchios deliviered to your door. I order them as often as I can afford to. They are the best tasting pistachios out there. I actually don't eat pistachios but buy them for a friend of mine who thinks they are the best thing on the planet!!! He's always looking forward to the next special occasion because he knows I going to give him his favorite pistachios. Thanks for a great product - my family loves the turkish pistachios. We get them for presents for the extended family at Christmas. Everyone was very happy! Great taste, arrived quickly. Will order again. 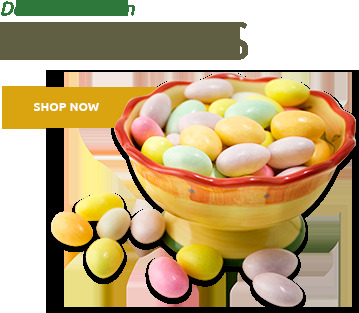 Always fresh, fast shipment and delivery, great customer service, fair price and shipment cost. This is my second purchase of Antep pistachio nuts from Superior Nut Store as I've been obtaining my Antep nuts from another company for over 40 years. But because of Superior Nut Store's competitive quality, better pricing and prompt shipping, I intend to continue purchasing my Antep pistachio nuts from Superior Nut Store. I usually buy either the 5 pound or 10 pound quantity a few times each year - I keep them in a freezer and remove a small portion to last a week or so which keeps the remaining nuts as fresh as when first bought. ProsLess salty - I found the nuts less salty than the other company's nuts I've been purchasing. At first I didn't like the less salt, but once you get accustomed to less salt, the nuts are just as tasty and much healthier without the added salt. Good fresh product, pistachios tasted good. Quick delivery. Great services, people working there very helpful. concise. Describes the product satisfactorily. Very tasty. 3% were closed. THE TURKISH PISTACHIOS ARE "SUPERIOR"
TURKISH PISTACHIOS CAN NOT BE BEATEN FOR FLAVOR. THEY ARE THE WAY PISTACHIO NUTS ALWAYS TASTED. Glad I found them ! I remember the fun and availability for pistachio nuts of this type from my childhood and teen years. I have been looking for nuts of this quality and origin locally for some time now , and it has become more and more difficult to find at even specialty brick and mortar stores where I live and shop ( Northwest suburban Chicaog) . This is a great product and I plan to re-order soon . I believe they will also make great Christmas gifts . Thanks for doing such a great job ! . Merchant Response:In addition to UPS, we do offer FedEx and USPS. Conswould be nice to have more shipper choices such as Fed Ex/ USPS rather than only UPS. Thanks for sending me the freshest Antep Pistachios I have ever had. They were a lot less saltier than Zenobia Pistachios that I have previously had. ProsThe crisp freshness of the nuts. Cons Now I'm addicted to them and will have to buy more! The Turkish Pistachios have a good taste. They are silky and almost melt in your mouth. I have to use a nut cracker to open the shell. You have to gauge how much pressure to use or you'll crush the nut. Of course, that distracts from the enjoyment of eating them. A better roasting process might help open the shells more. ProsThey are silky and almost melt in your mouth. ConsI have to use a nut cracker to open the shell. My husband loves pistachio nuts and asked for a large bag for Christmas. He specified large Turkish variety, I ordered these and he loved them. Polished off the 1st bag and asked for more. Expensive, but worth it. Good service too. So crunchy, deeply flavored, much better than California pistachios. ProsCrunch, flavorful, easy to shell. ConsThey are gone too quickly and I have to get more! Love these pistachios. Promptly delivered. Well packaged. Fresh and tasty. This order was different in that the pistachios were less salty than in previous orders. That's too bad - although these are our favorite pistachios, would have preferred a bit more on the salty side. ConsWhy is the salt content so much lower than previously - is this new? Would prefer a bit more on the salty side. Turkish Antep Pistachios are the only pistachios I will eat. They are infinitely crunchier and fuller in flavor than the California type. Your company had the best prices by far! Growing up as a kid in the â€™50s the only pistachio nuts were imported. Now it seems most of them are grown in California so itâ€™s my good luck to have found you. They are delicious! Great, price is high, but I guess thatâ€™s the going rate nowadays. Thank you Carol you were so helpful and kind. I feel Thankful such great service. I go NUTS for these nuts! I previously bought a 10-pound bag and just recently bought a 5-pound bag. I think I need to go back to the 10-pound bag! I rate this nuts a 5 wonderful not too salty just the right stuff I am fully addicted. Very good taste,large and mostly opened. Would order from here again. Nuts are good. Price is a bit high, but it does make for a nice treat every so often. Great nuts and fast shipping. Highly recommended. Delicious - my order came faster than we expected. 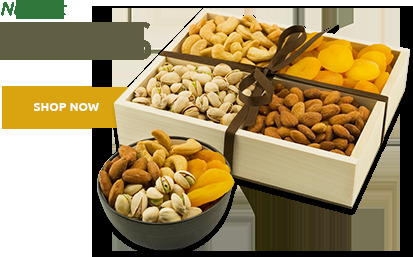 First time we ordered from you and the pistachios taste much fresher than others. Thanks so much. We will definitely order from you again. Wow, these shipment of nuts were easy to open and tasted great! Good nuts at a good price, I used to buy form Zenobia but $13.50 a pound is just too much. Awesome quality and taste, best pistachios in the world.